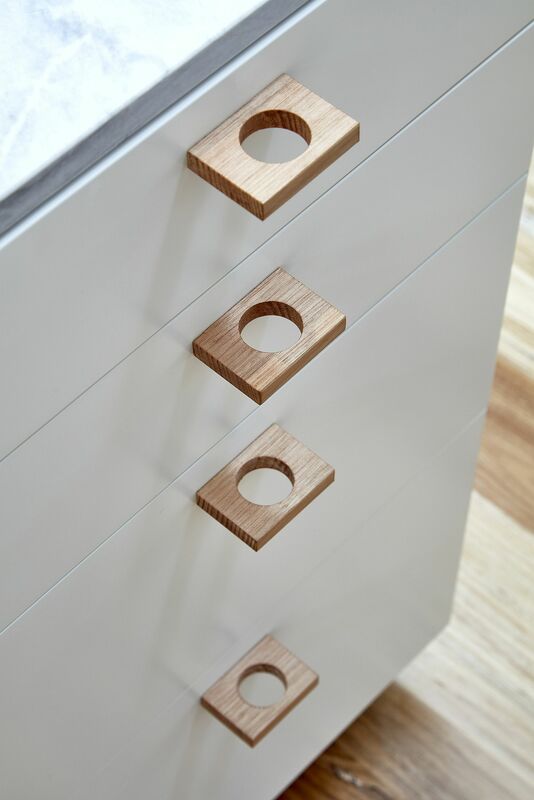 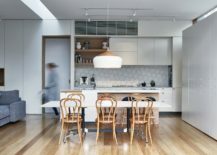 It barely comes as a surprise to anyone that most classic homes that have been left unaltered for a while or have been poorly renovated over the course of last few decades are now in need of a modern makeover that fills them with freshness. 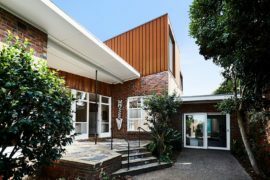 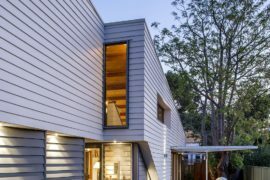 And many of these homes come to us from Down Under with heritage Victorian and Edwardian houses in cities like Melbourne and Sydney heading the list. 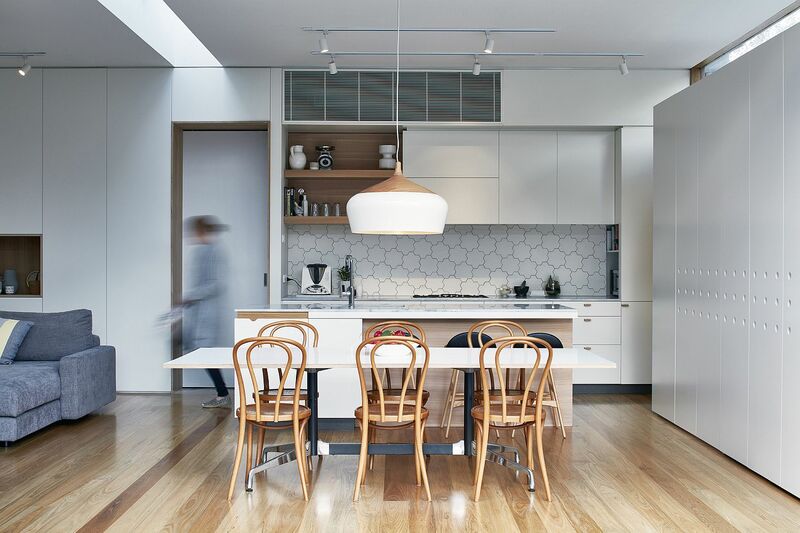 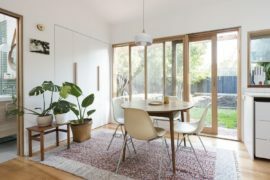 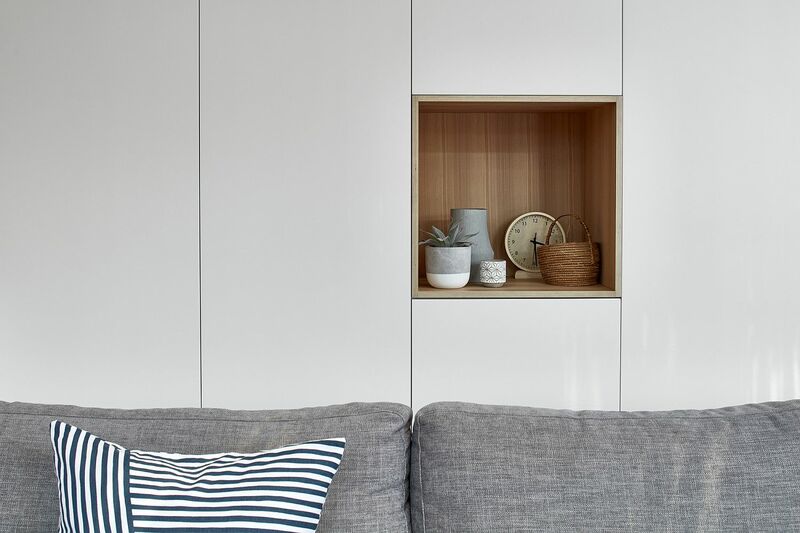 Today, we head over to a gorgeously revamped weatherboard Edwardian residence in Camberwell, a bustling suburb of Melbourne in search of inspirational ideas that we can embrace as well. 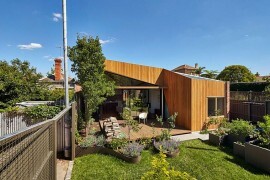 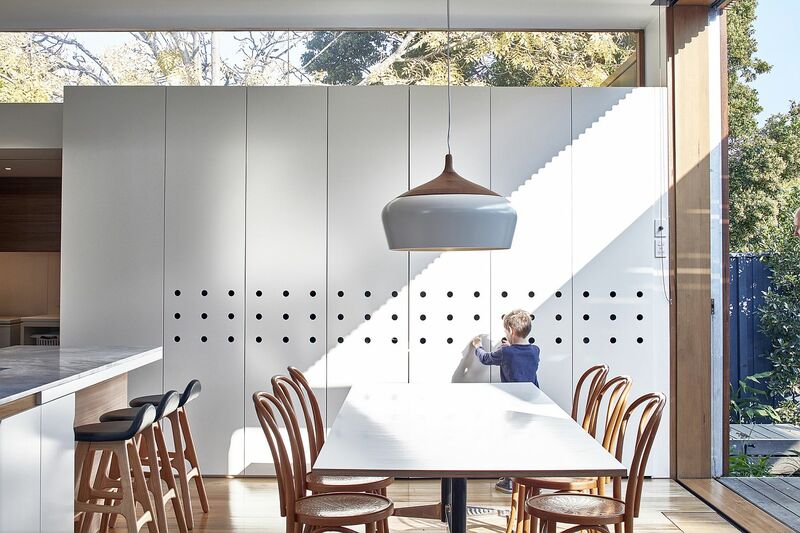 And you can rest assured that there is plenty to learn from this Warc Studio Architects makeover! 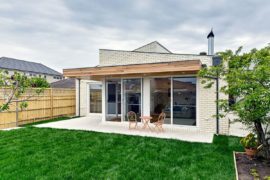 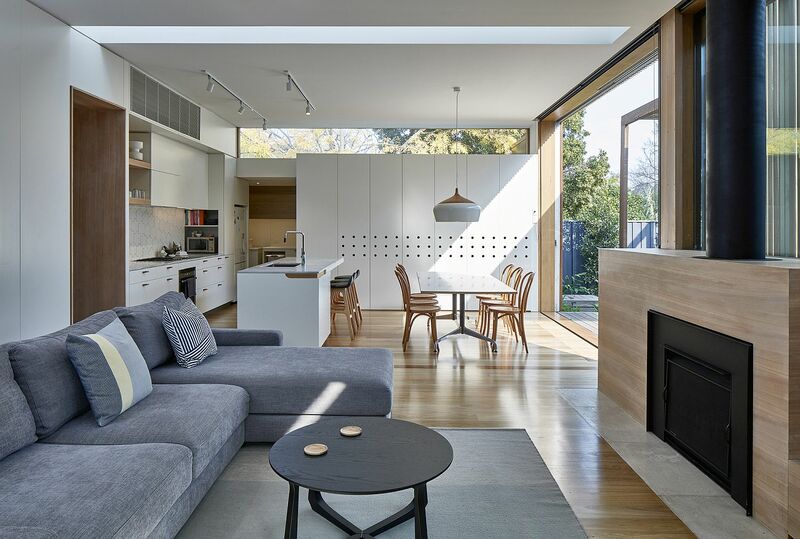 The living area was the central attention of the extension and makeover project which also spilled into the bathrooms, wardrobes, landscape and pool area. 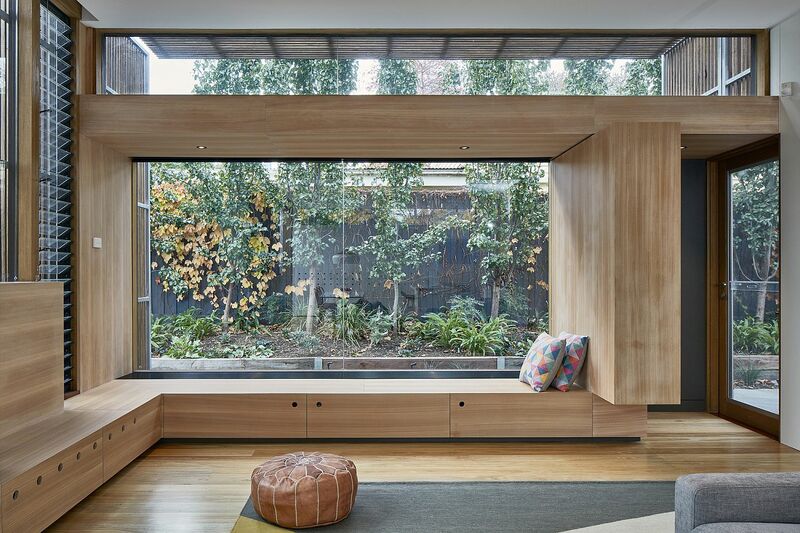 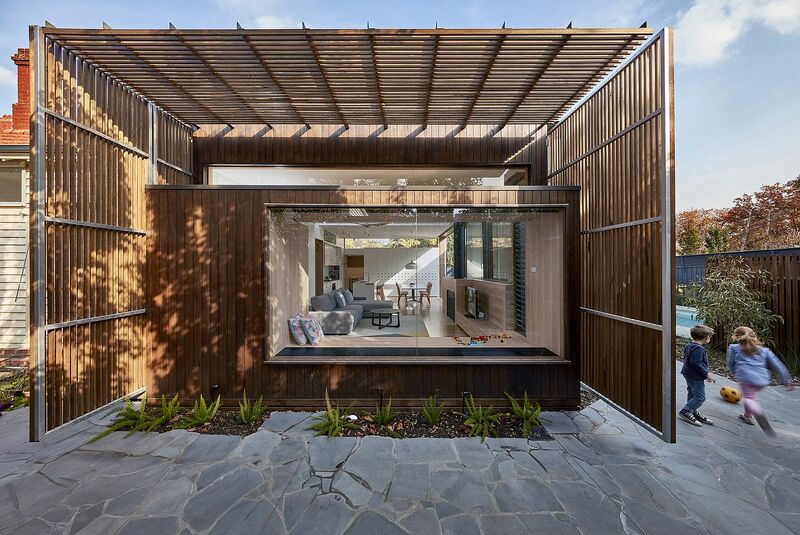 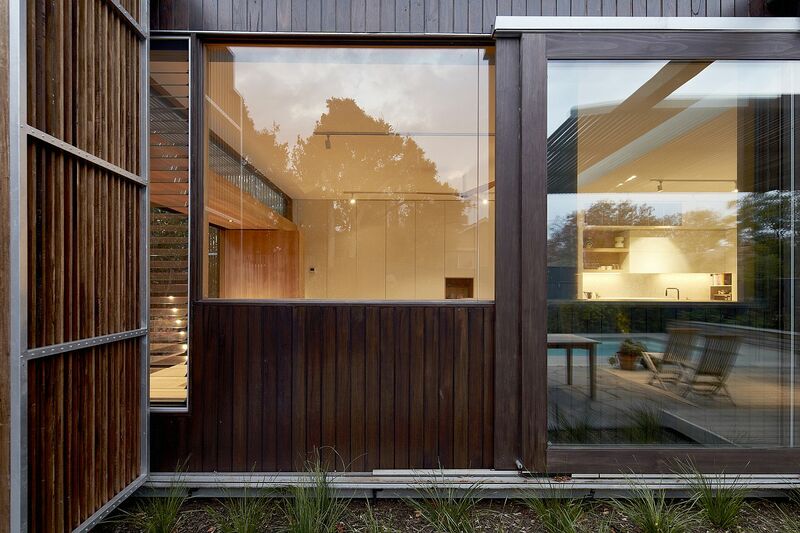 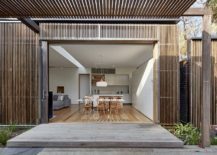 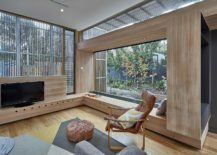 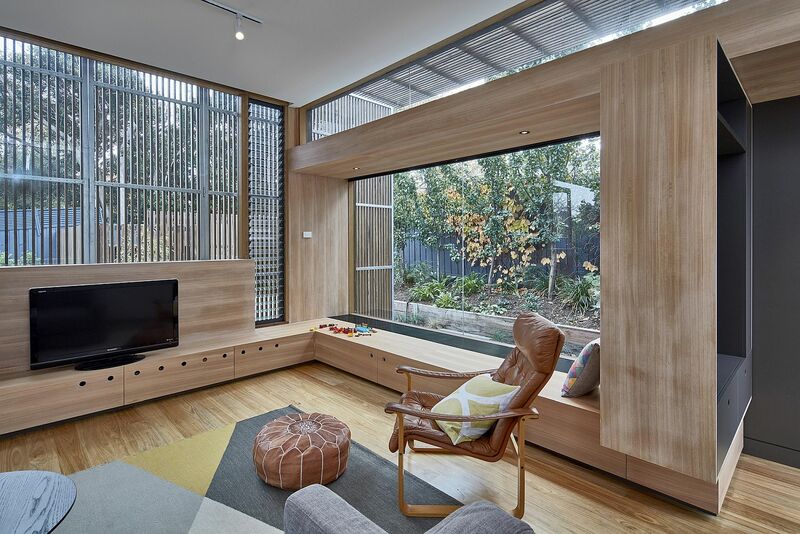 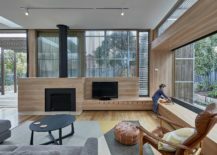 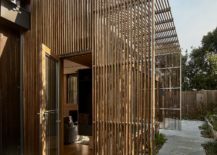 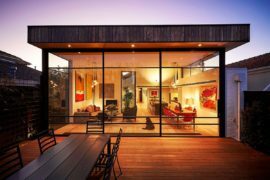 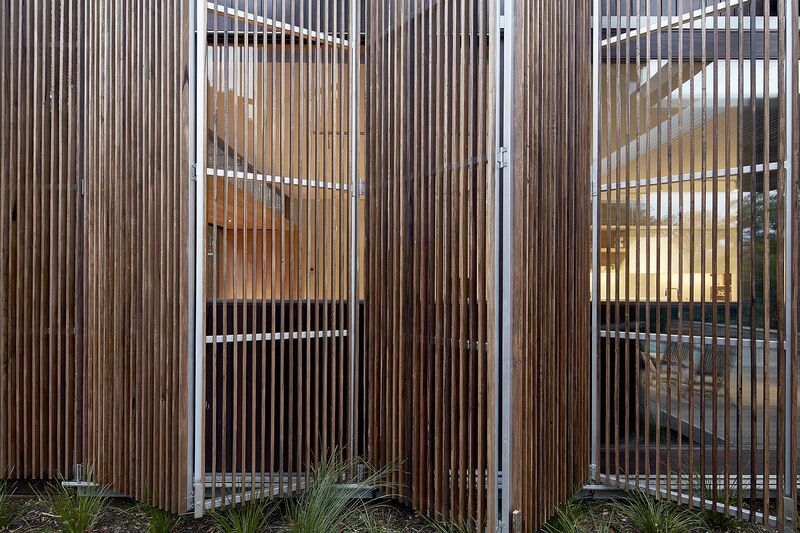 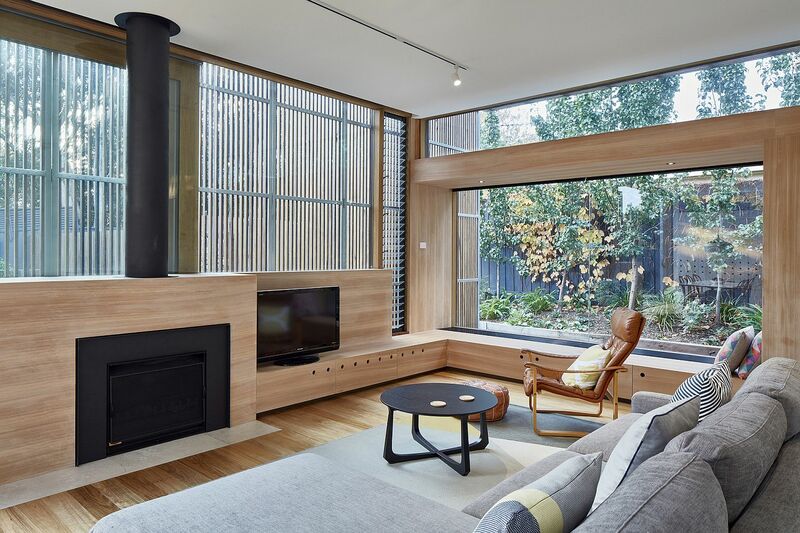 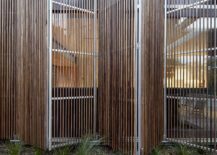 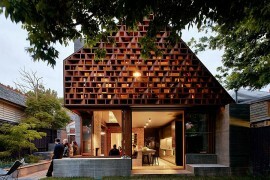 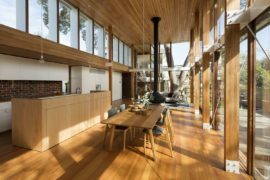 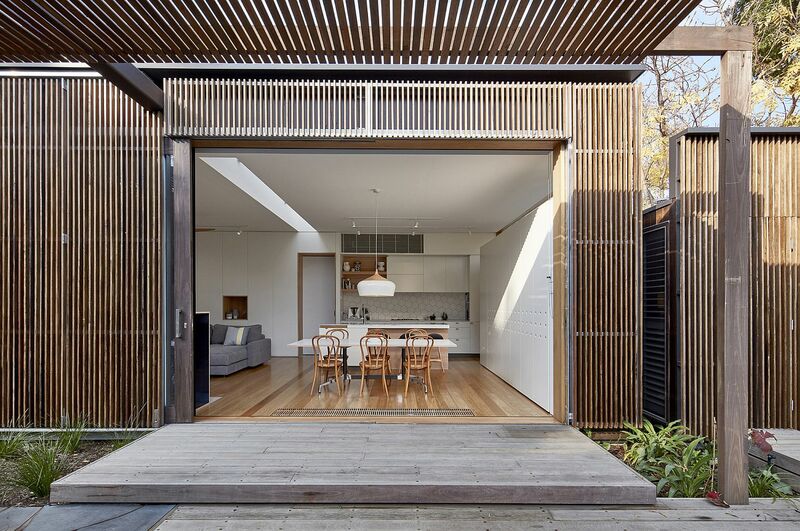 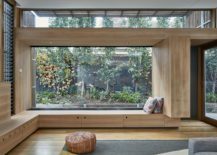 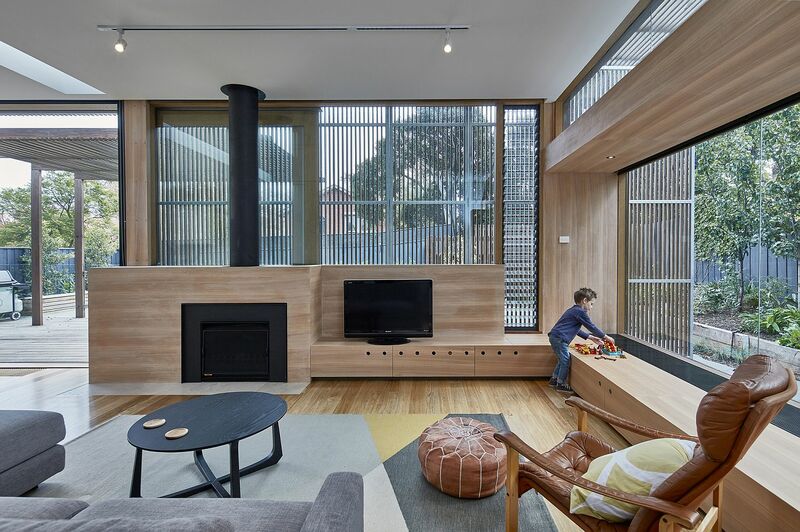 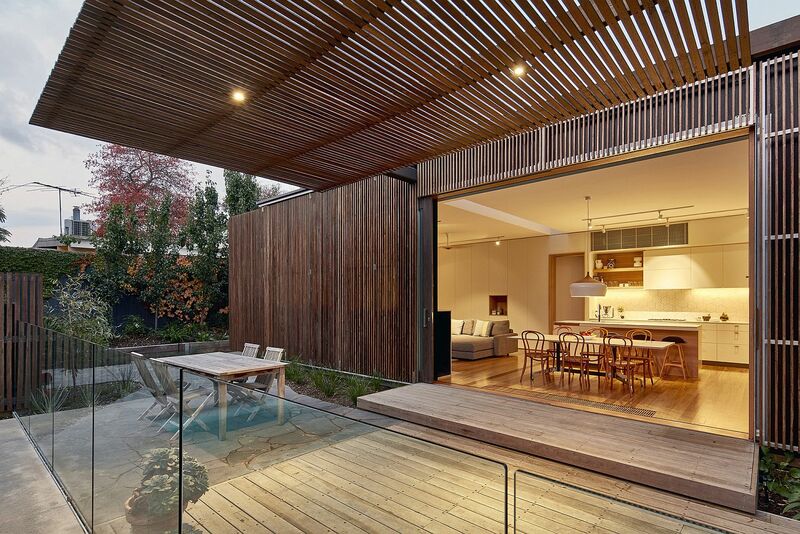 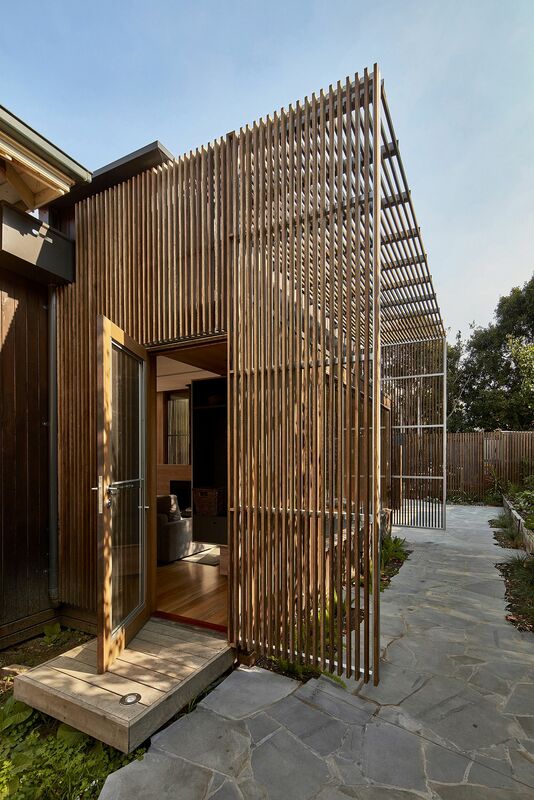 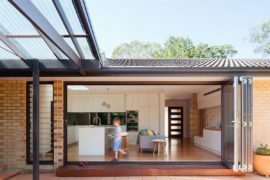 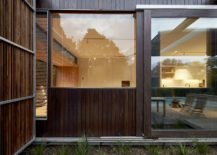 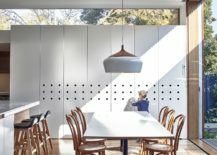 A new movable timber screen at the rear is the focus of attention now with its versatile presence controlling natural light and giving the home a smart aesthetic and functional addition. 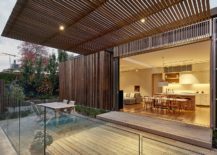 The screens also extend to provide shelter for the outdoor deck and hangout while an open plan living with kitchen and dining area that flow into the deck greet the homeowners inside.